Higher and Tertiary Education, Science and Technology Development Minister Professor Amon Murwira has ordered the scrapping of a $250 000 annual “protocol” budget provided for the minister by the Zimbabwe Manpower Development Fund (Zimdef) as he moves to stamp out corruption. The abuse of the fund had gone unabated over the years, with the most notorious example being that Zimdef of former minister Professor Jonathan Moyo and his deputy Godfrey Gandawa who were exposed two years ago for abusing the slush facility. Prof Murwira told a public consultation meeting on the amendment of the Manpower Planning and Development Act (Chapter 28:02) at Gweru Polytechnic College on Monday that the budget was being abused and in some instances had been used to buy bicycles for the minister’s constituency. 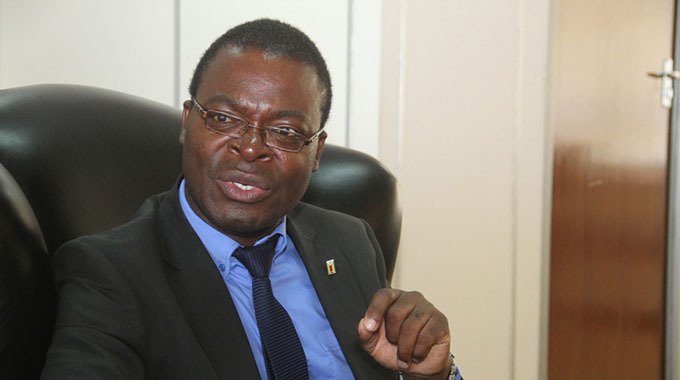 “We intend to reform the Zimbabwe Manpower Development Fund to align it with good corporate governance practice by putting in place a board to be appointed by the minister responsible for the administration of the Act,” he said. “There used to be a $250 000 budget for the minister called protocol. To deal with corruption at Zimdef, I said let’s scrap it. I said let us remove it because it was prone to abuse by the minister. Some were buying bicycles and wheelbarrows with the money which is some form of abuse while children had no funds or resources to develop skilled manpower in the country,” he said. In 2016, Prof Moyo was accused by the Zimbabwe Anti-Corruption Commission (ZACC) of allegedly benefiting from close to US$270 000, which was siphoned from Zimdef. Prof Moyo, through his personal assistant, allegedly used close to US$50 000 from the fund to buy bicycles, which he distributed to his constituency as well as a US$24 000 loan which he repaid. “So we will have the board and a chief executive with a contract of only two five-year terms whose duties will be to monitor and control the public funds and property so that they are not abused,” said Prof Murwira. He expressed concern that while Zimbabwe has a high literacy rate of over 94 percent, its skills level are at a mere 38 percent. He said the need by almost everyone to import goods and services was a true reflection of this. Prof Murwira said the country has an acute shortage of skills in the engineering and technology, natural and applied sciences, medical and health sciences as well as the agricultural sectors. “From the colonial era to date we have been in a cage, in a box where we were being trained to look for jobs and not to create jobs and that has to come to a stop now. With this 94 percent literacy rate, the success of our basic education system must now be translated into national competitive advantage through equipping graduates that pass through our higher and tertiary education system with more relevant modern skills for economic prosperity,” he said. Prof Murwira said for Zimbabwe to attain the vision of a middle income by 2030 and address social challenges of poverty, unemployment and inequality, there was need to invest in relevant education, training and skills development and thus the need to amend the Manpower Planning and Development Act. “We need to do away with a happy slave mentality where one is given a car, an office with a television set so that he or she doesn’t think of innovation to a situation whereby we innovate. The construction of innovation hubs has started at six universities to foster the spirit of innovation and entrepreneurship as we move from job seekers to a country that creates employment,” he said.